Learn about a dangerous Plant that Causes Blindness, contact to the sap of this invasive weed can lead to third-degree burns and scars. 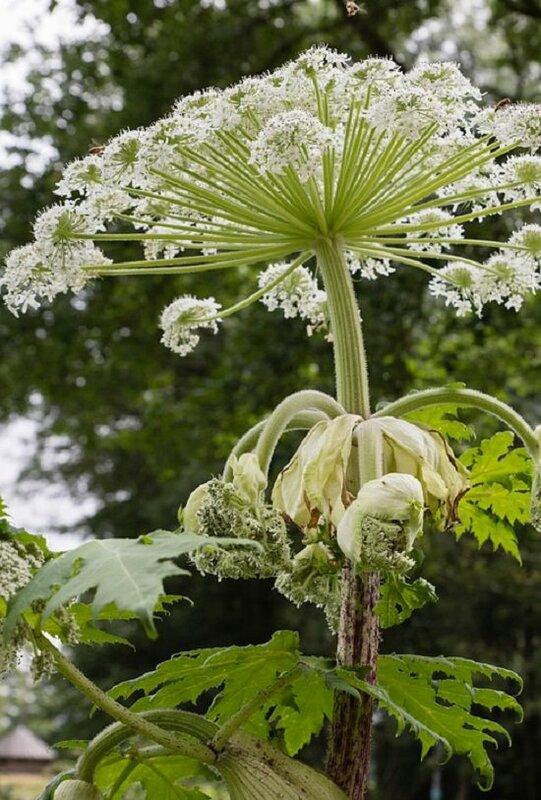 Heracleum mantegazzianum is the scientific name of the invasive plant- Giant Hogweed. It’s native to the western region of Eurasia and was introduced in Britain originally as an ornamental plant. Some of its kinds are found in some areas of Europe, the United States, and Canada. 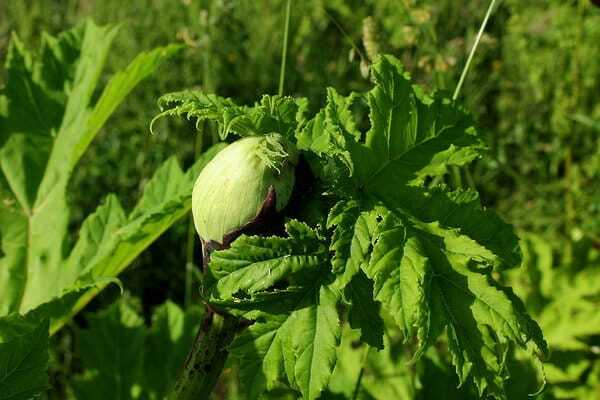 Apart from the fact that it’s a beautiful flowering plant, it causes phytophotodermatitis in humans, which has a burning effect and a lot of pain. Not only its sap can cause painful blisters, but it can also result in permanent blindness too. This toxic plant can grow up to a height of 16 feet under ideal conditions. The flowers are mostly white or greenish white, forming an umbrella-like shape across its top. 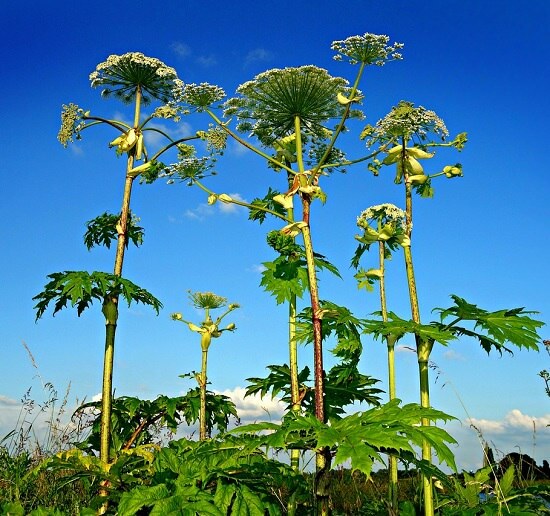 The sap of giant hogweed is phototoxic, meaning that it can induce third-degree burns and irritation on your skin. For a toxic plant, this weed is unexpectedly beautiful, and one unknown of its hazardous consequences would love to touch and praise it. There has been strong awareness recently about its dangerous effects. However, most people still don’t know the aftereffects of touching this plant. After getting in direct contact with the wet sap, it can agitate your skin within 15 minutes and cause burns in the exposure of sunlight. To make things worse, there’s a risk of blindness if it goes into your eyes. Be very cautious of it, especially if you live in New York, Pennsylvania, Ohio, Maryland, Oregon, Washington, Michigan, Virginia, Vermont, New Hampshire, and Maine. The reactive chemical–photosensitizing furanocoumarins can cause a skin reaction, which is extremely sensitive to light. It can cause a long-time sensitivity to sunlight, and the scars can last for as long as six years. If by chance you touch the plant, you must wash your hands with mild soap and get out of sun exposure asap. If you are stuck outside, try to apply a little bit of sunscreen over the skin to prevent further reactions. How To Identify This Weed? Giant hogweed, as mentioned earlier, can grow up to a height of 16 feet but this isn’t an overnight action. It takes two to five years to take the ideal shape with the flowers blooming on its top. You must not confuse it with Queen Anne’s Lace, Cow Parsnip, and Angelica. To make things easy, you should look for purple blotches with white hairs on the stem. If it grows near a partially shaded area or well-lit area, there’s a strong hope of it being giant hogweed. If you encounter this plant near your yard, you should immediately take action and report your local authority of environmental conservation. Furthermore, you can try to cut the roots or use an herbicide. If you decide to cut down the roots manually, you must first take protective measures to cover your skin and eyes. Remember never to use a weed-whacker to remove the hogweed as the seeds can splatter and being an invasive plant; it can grow enormously. The safe method is to use a herbicide or protect yourself with clothing, gloves, and glasses and pull it out of the ground in one go!